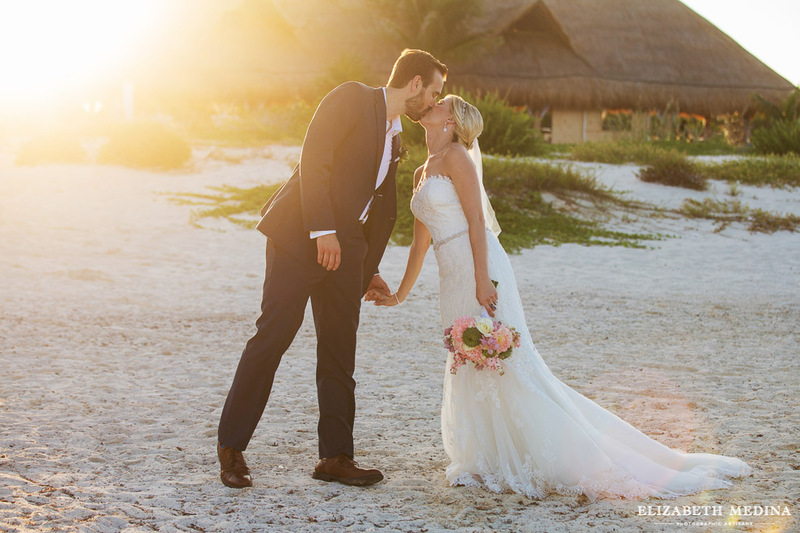 I think you could be safe in saying that Christina and Peter’s wedding was just as pretty as a postcard. 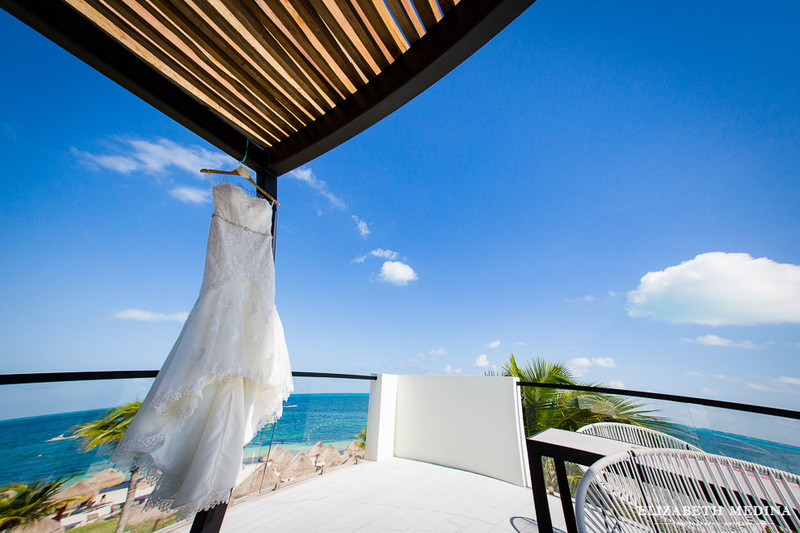 That is if postcards still exist which I am pretty sure might not be the case. 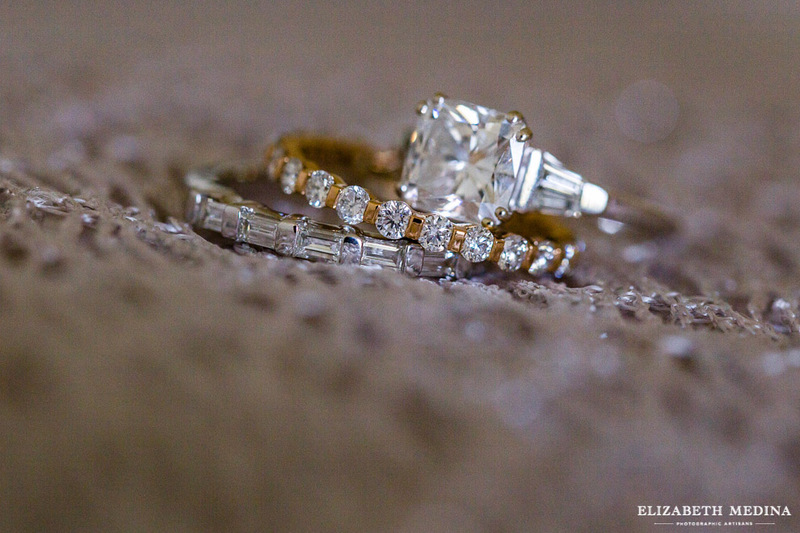 Thinking about it I can’t remember the last time I saw one. 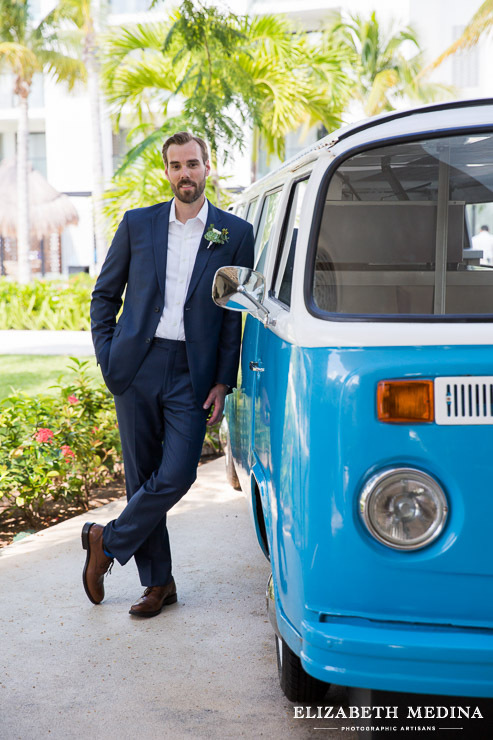 It might even be possible that no one but me even remembers that there ever were postcards, which would be super embarrassing. 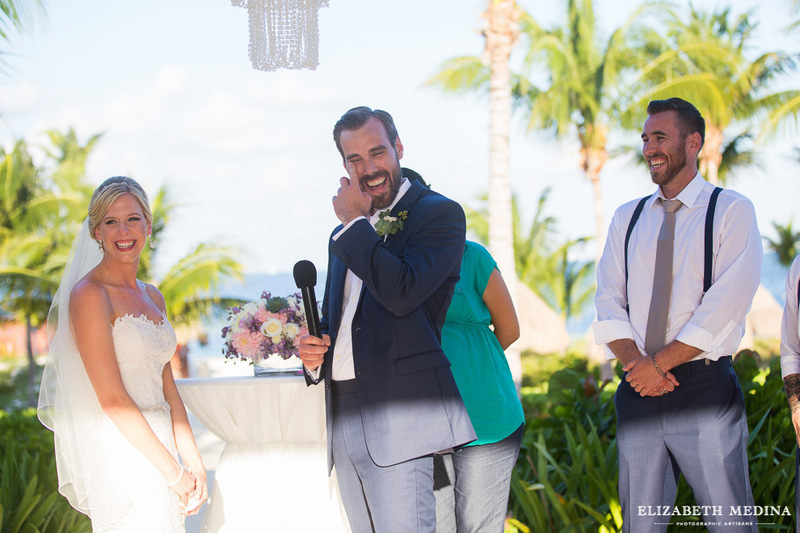 So lets just forget I even brought up the subject and move on to a topic that for sure is not obsolete, destination weddings. 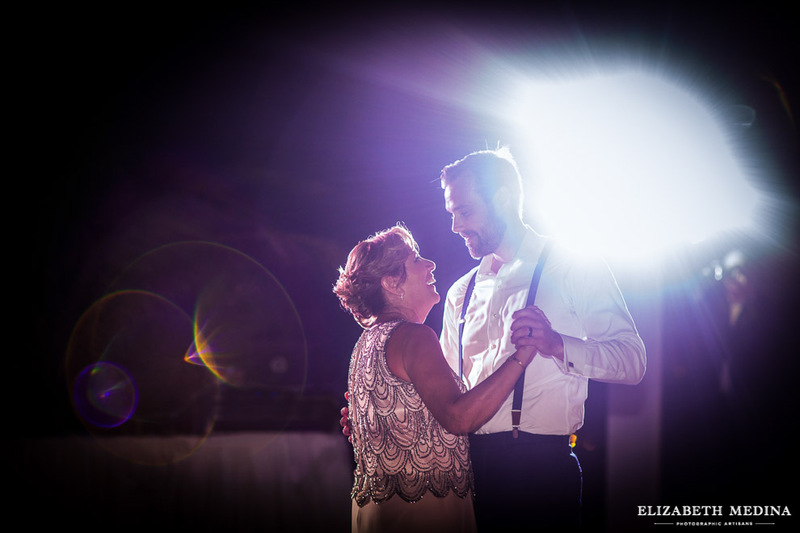 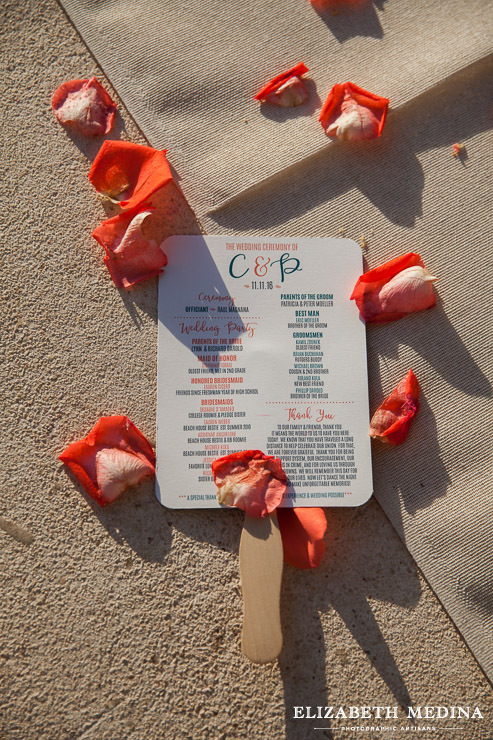 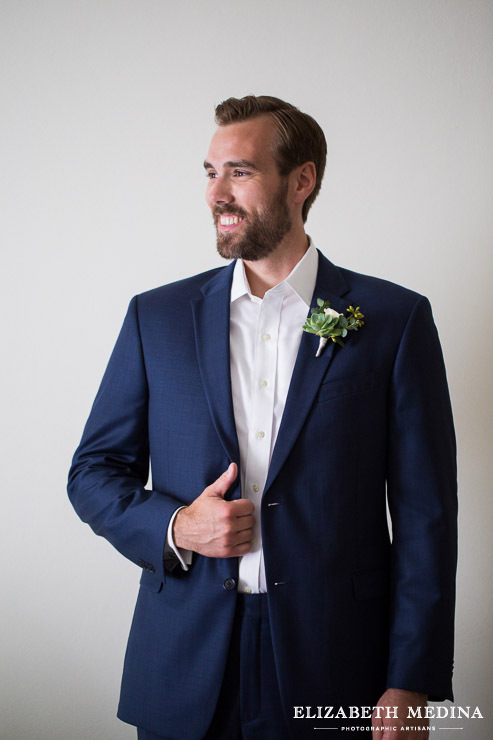 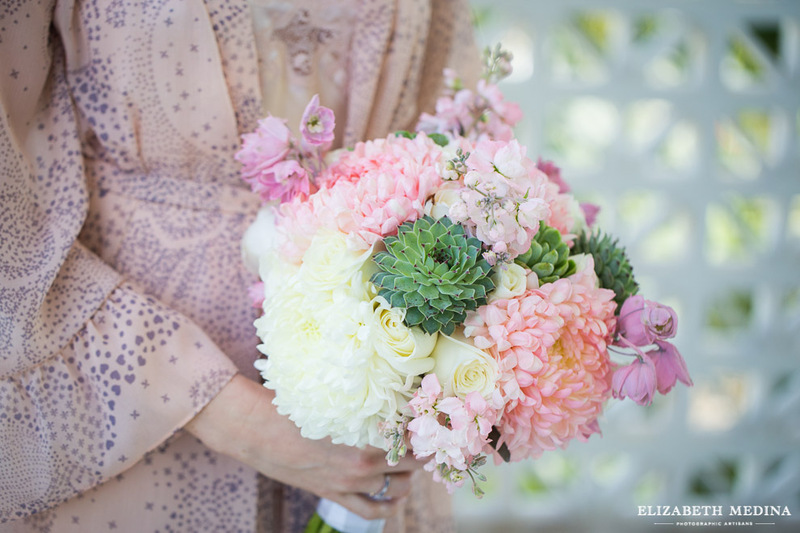 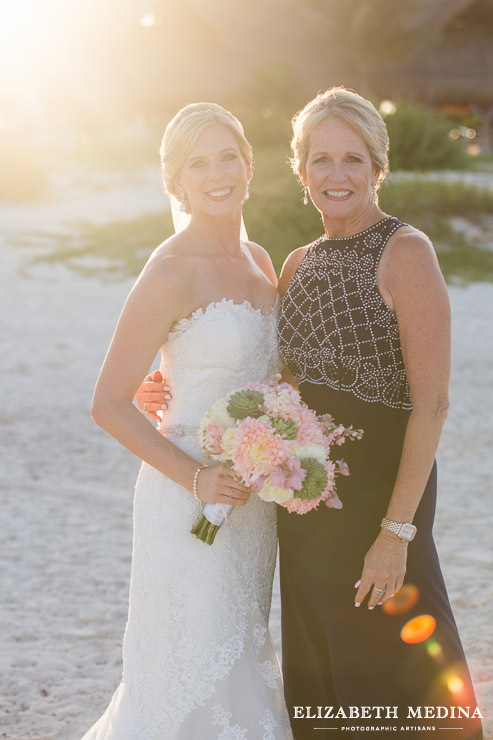 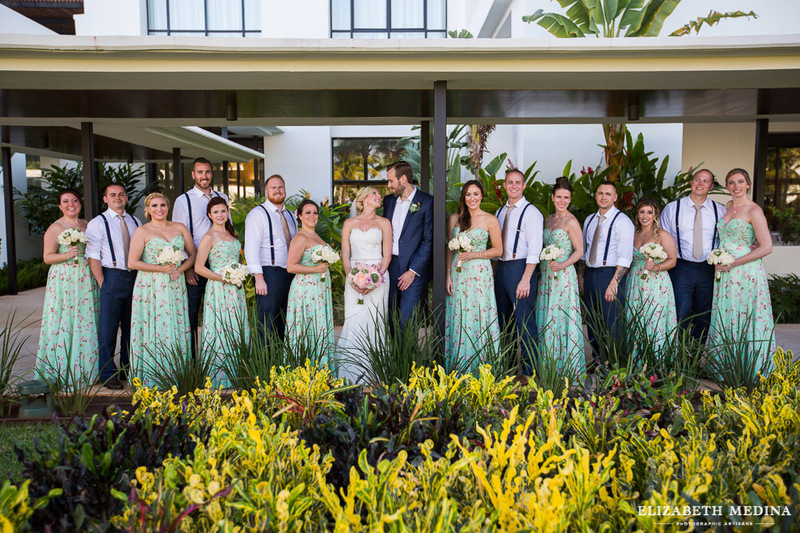 Christina and Peter’s wedding, planned and implemented by an amazing team from Luxe Destination weddings, was basically a Pinterest destination dream board come to life. 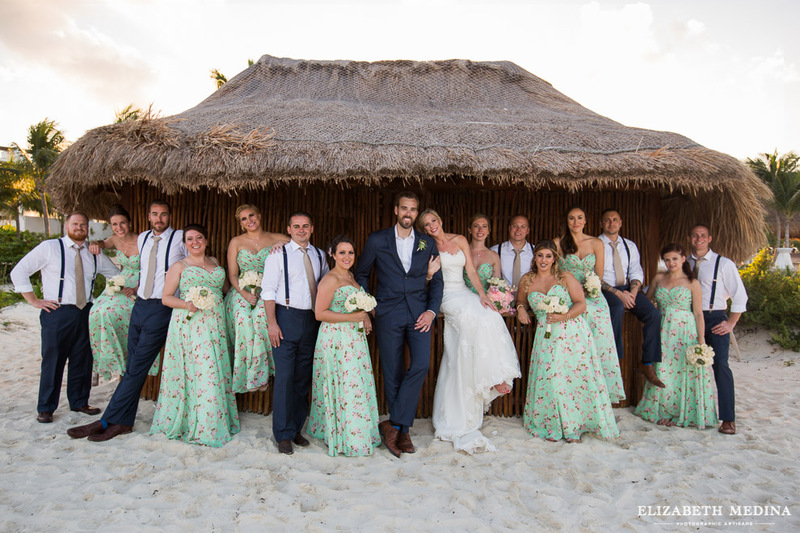 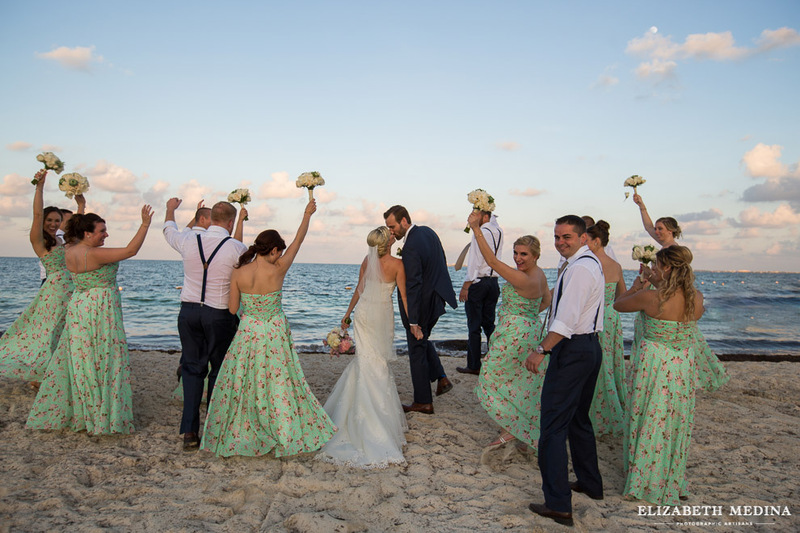 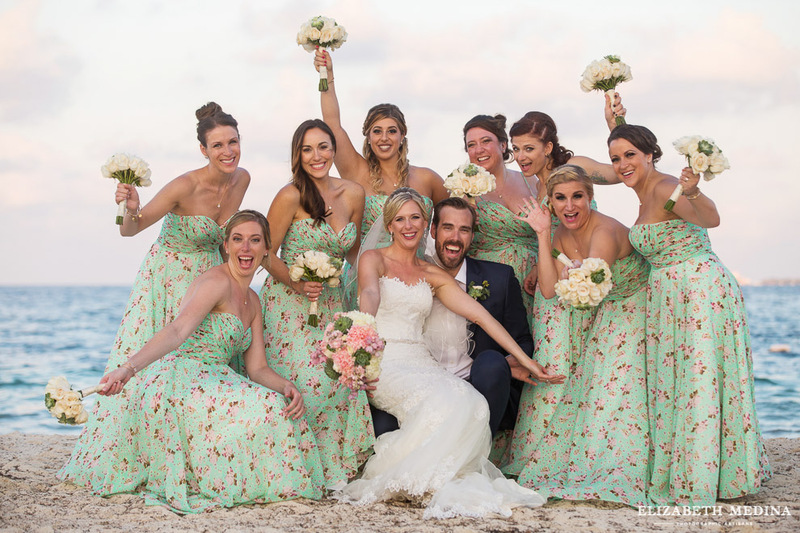 Beautiful from start to finish, the pastel florals from Cancun floral superstar Vanessa Jaimes and print bridesmaid dresses complemented the bright blue skies and turquoise water to create a vision that was almost unbelievably pretty. 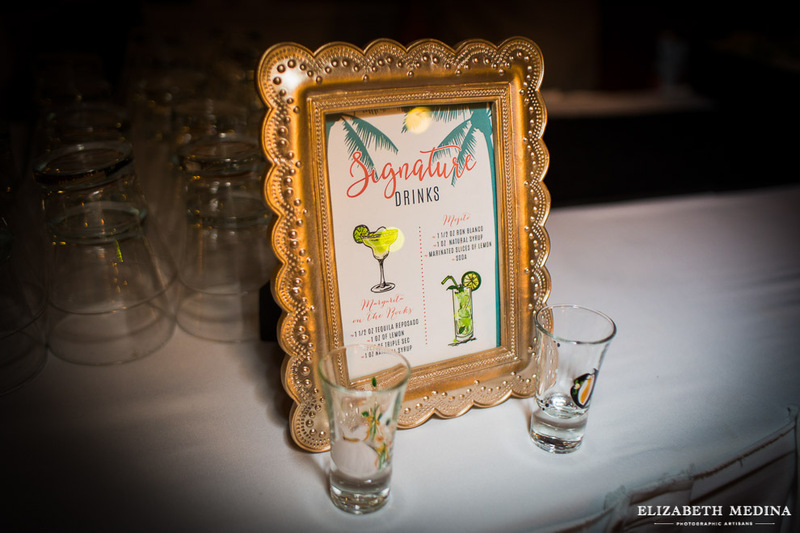 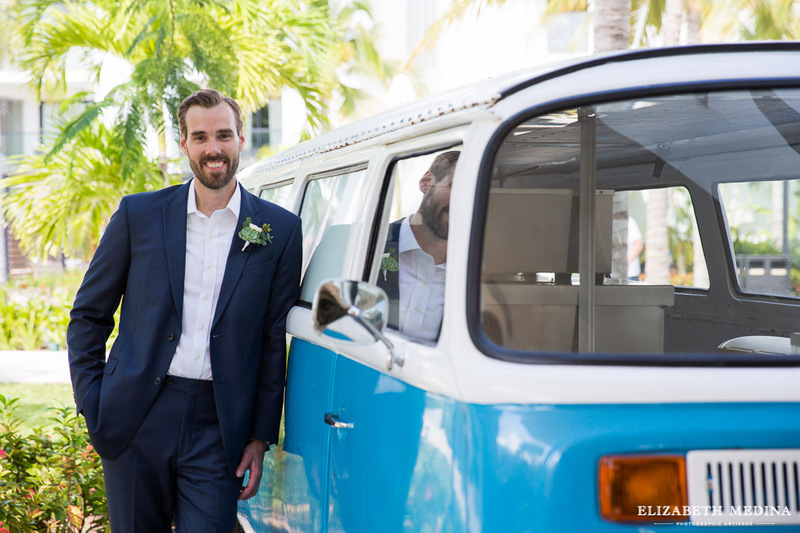 Throw in many well thought out details, the happy couple’s smiles, a mariachi band, tequila (naturally) and a cameo appearance by a VW van for good measure and what more could a photographer ask for? 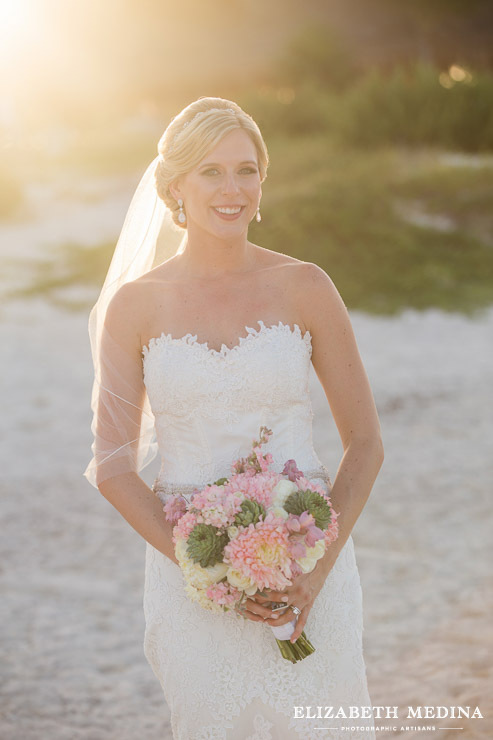 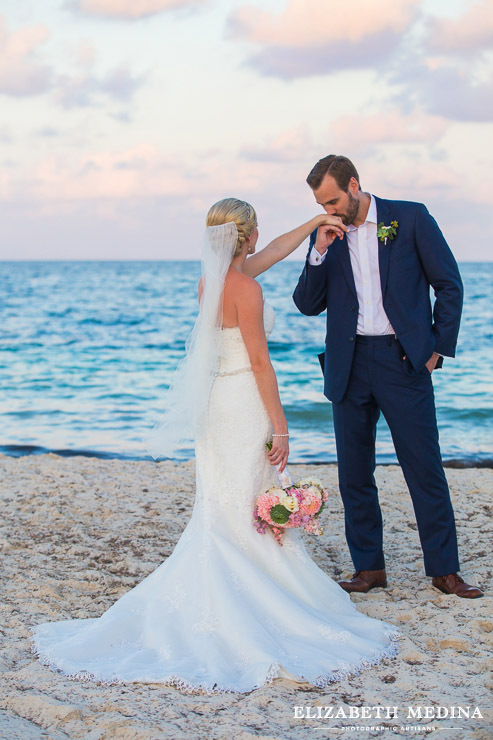 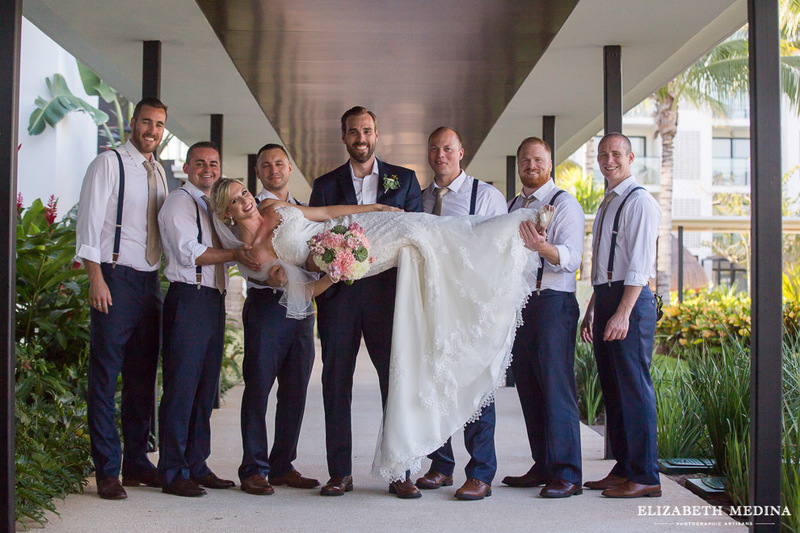 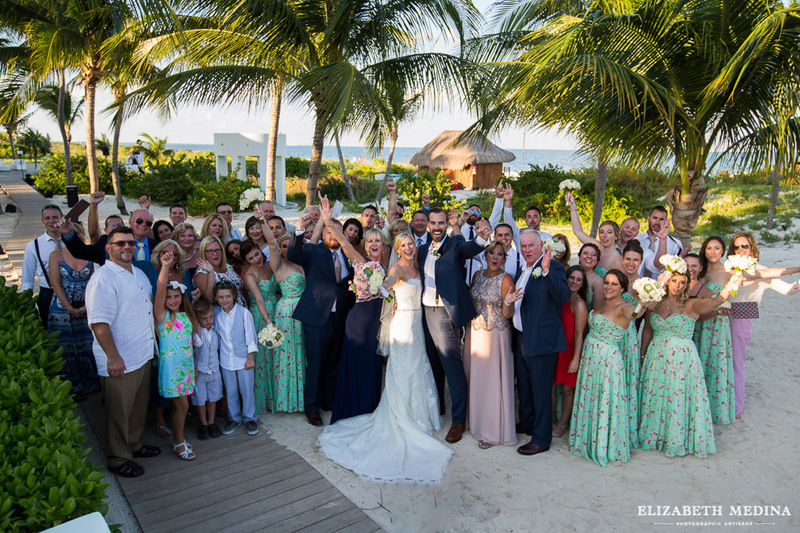 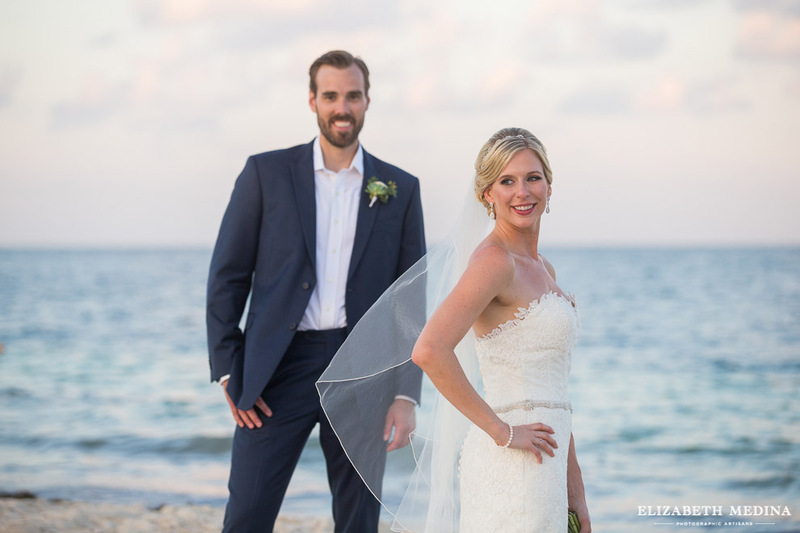 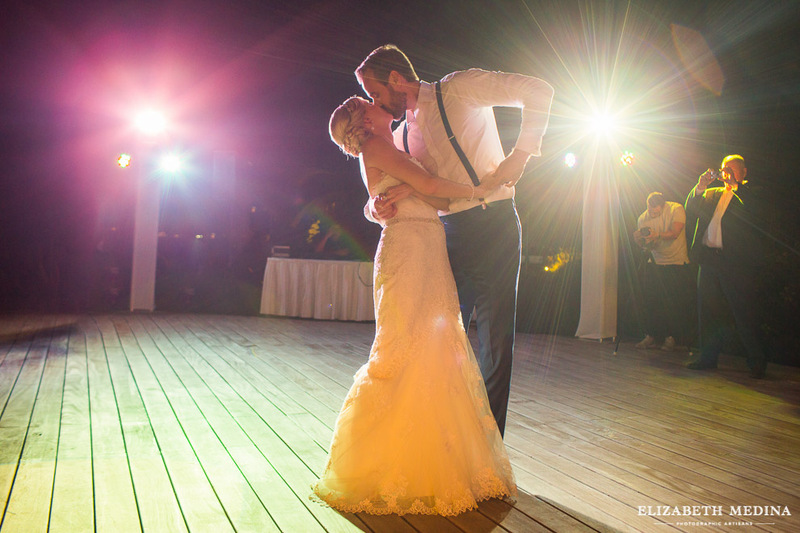 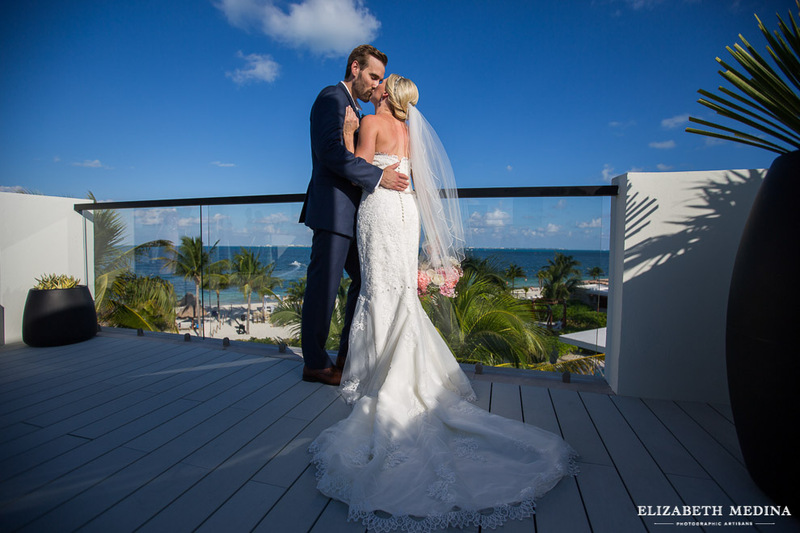 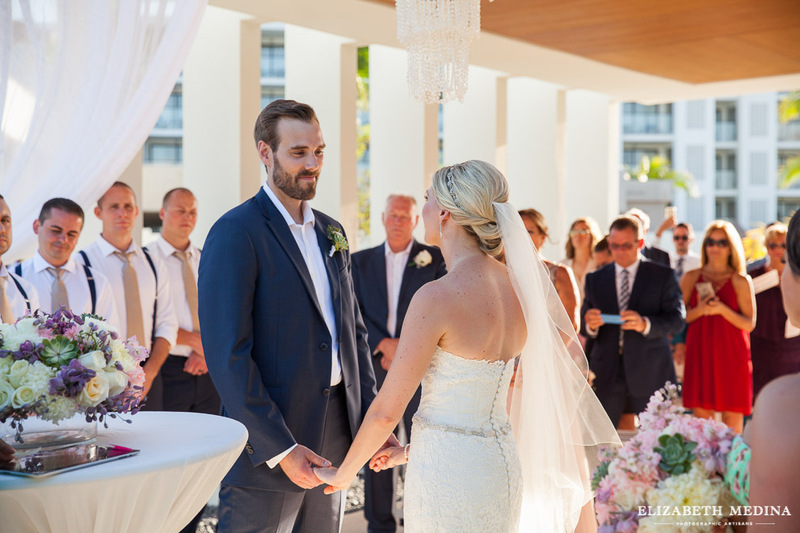 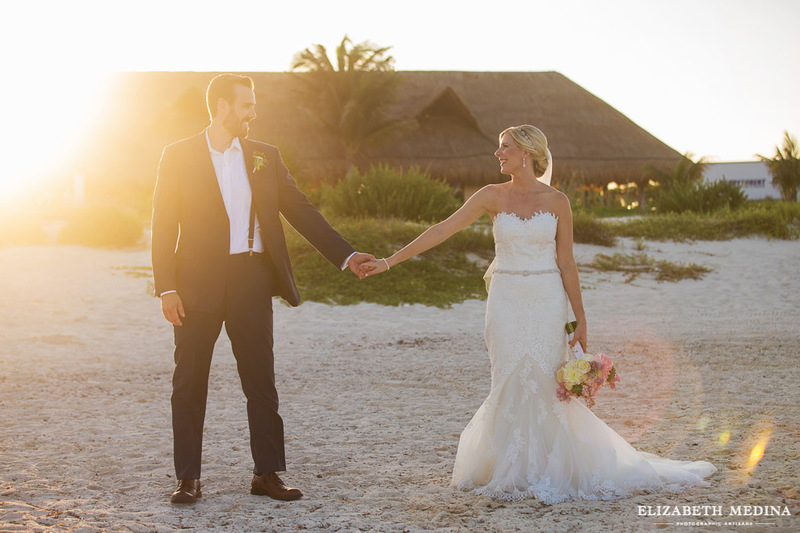 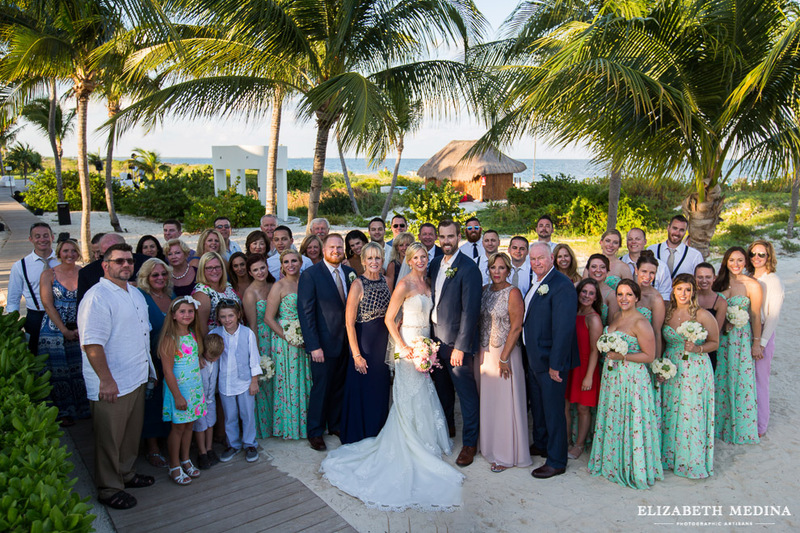 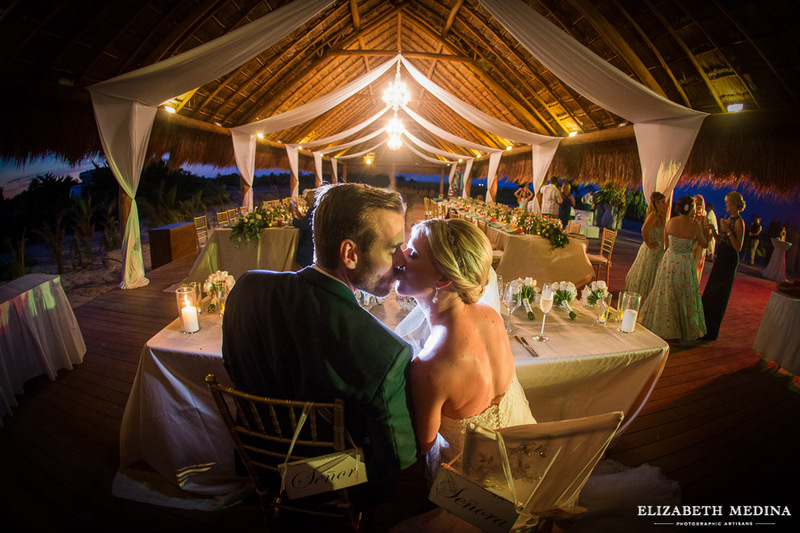 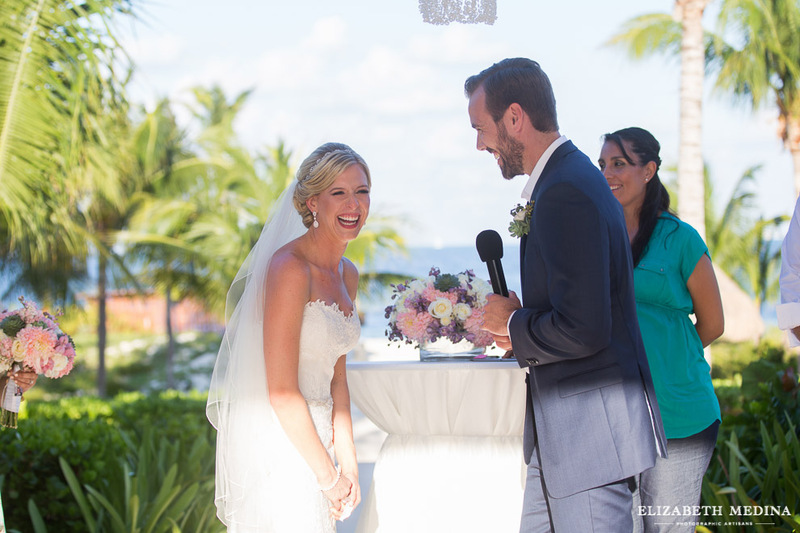 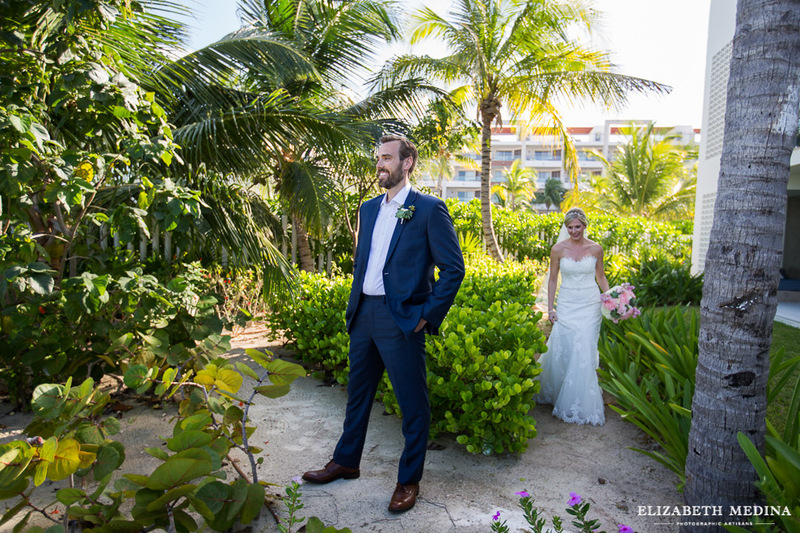 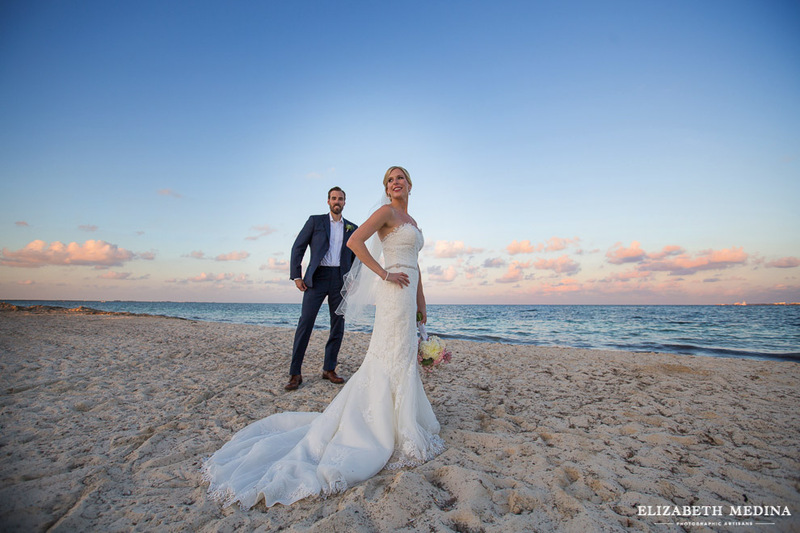 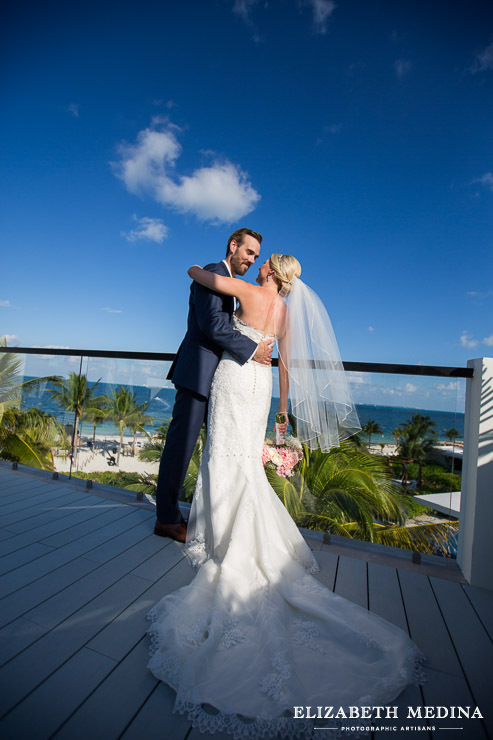 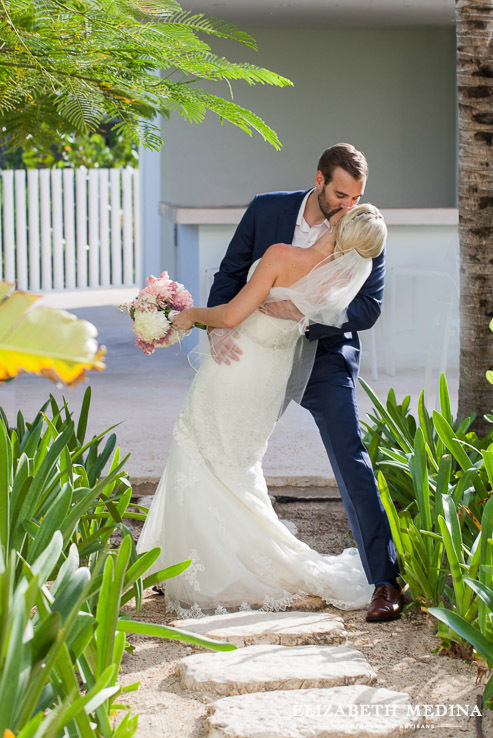 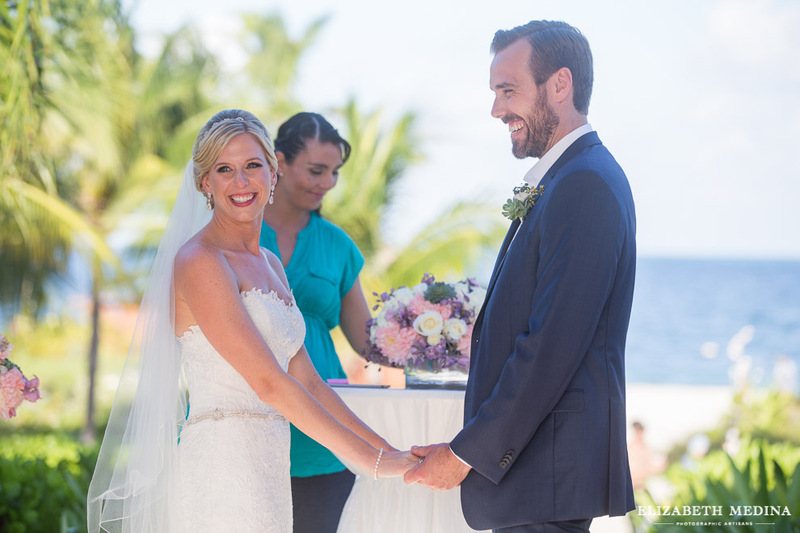 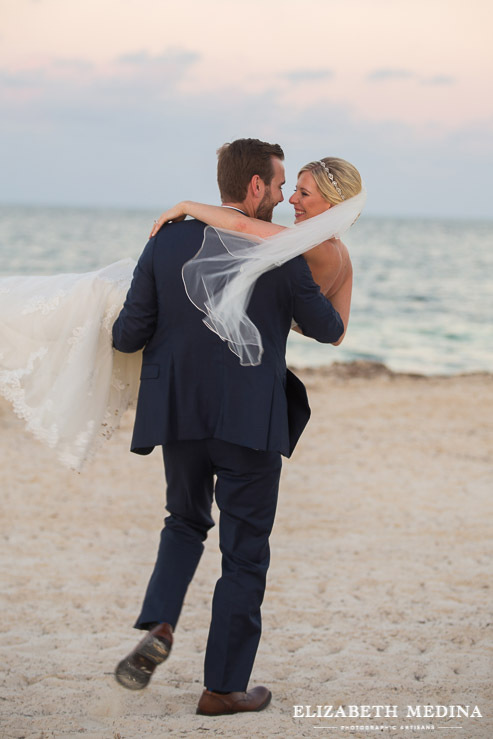 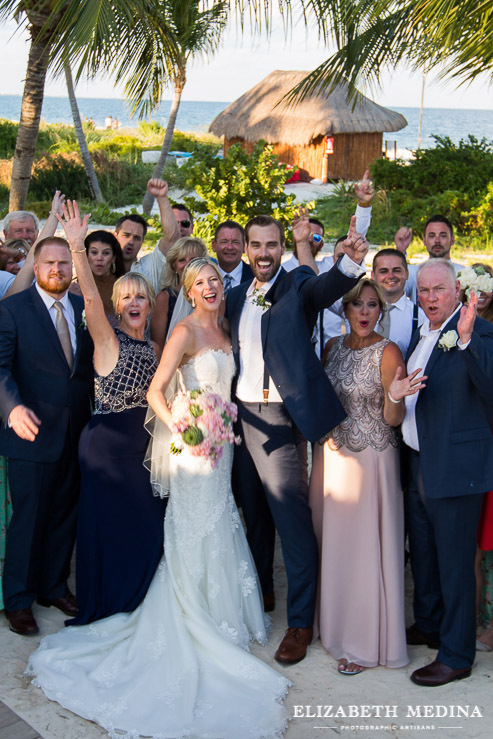 We absolutely loved meeting this group and sharing the couple’s day at the Finest Resort in Cancun’s Playa Mujeres. 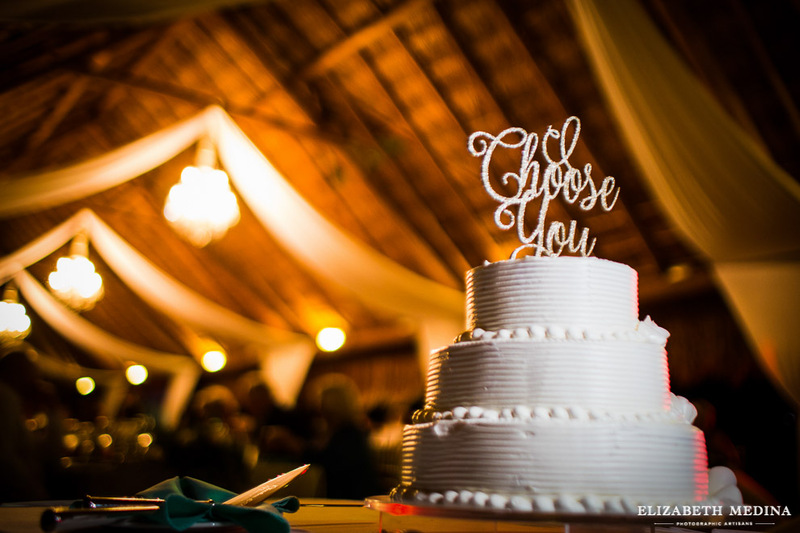 And the icing on the cake? 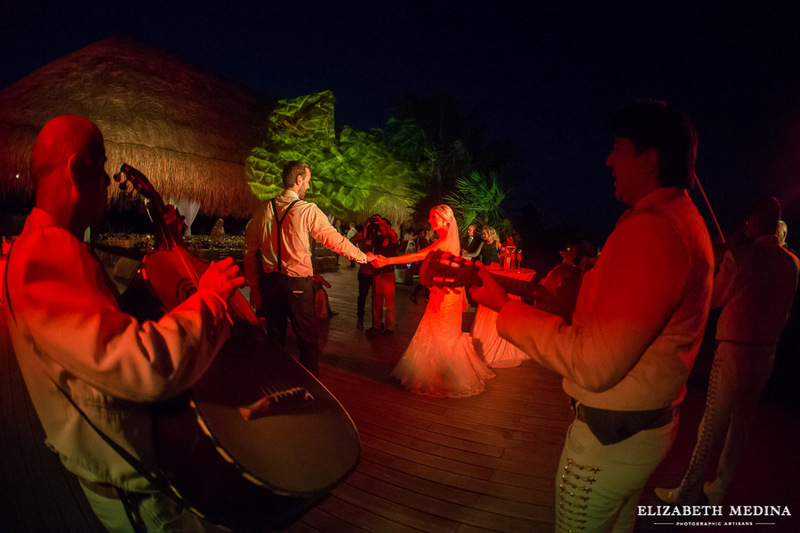 Know that the artful memories captured by our cameras will last a lifetime. 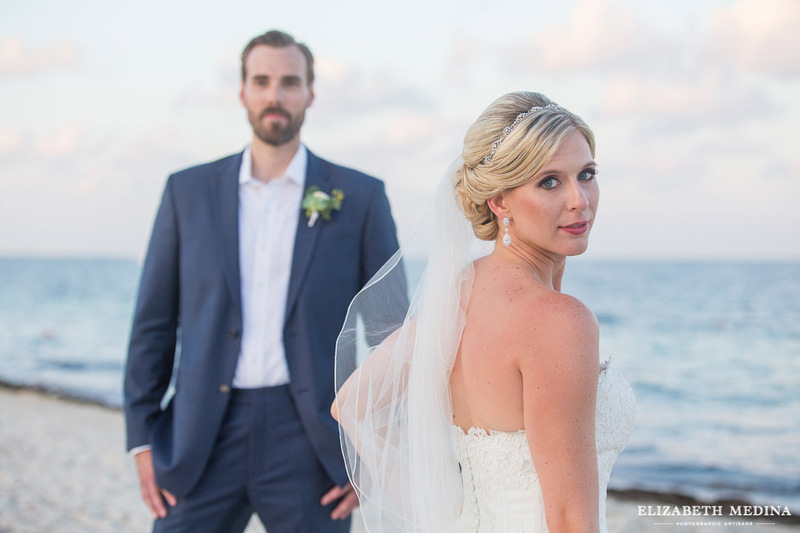 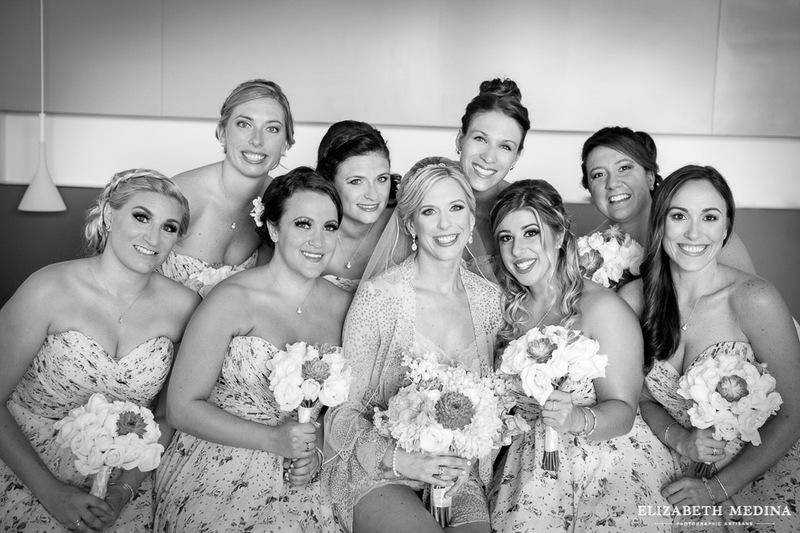 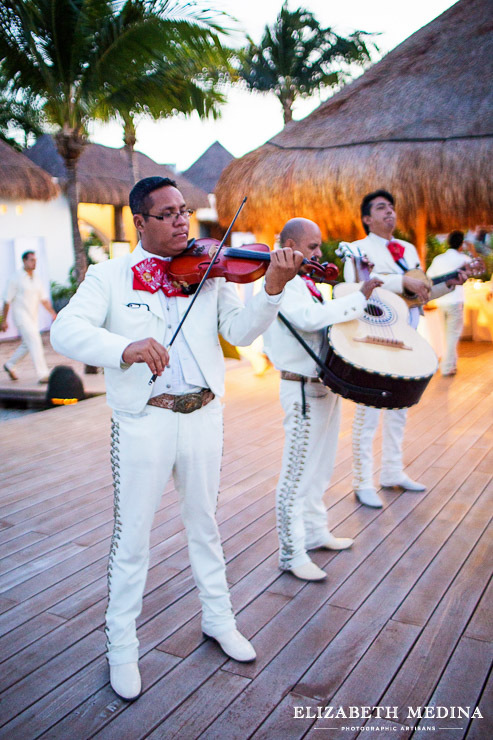 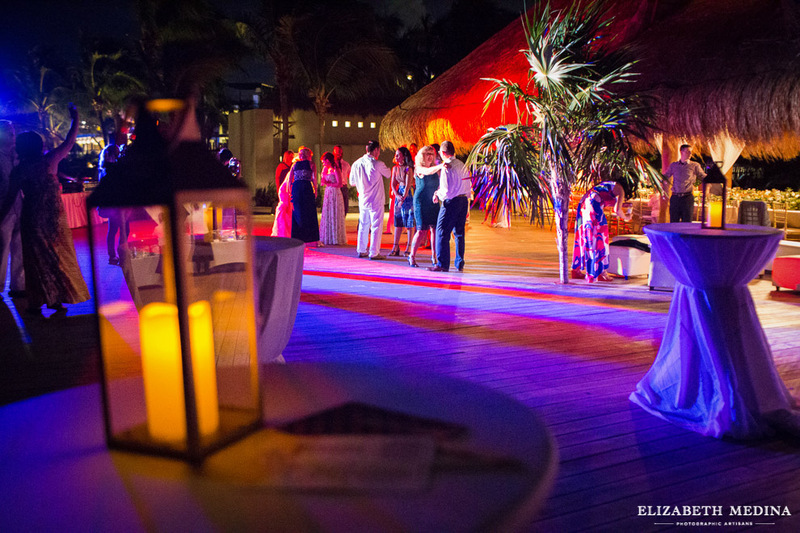 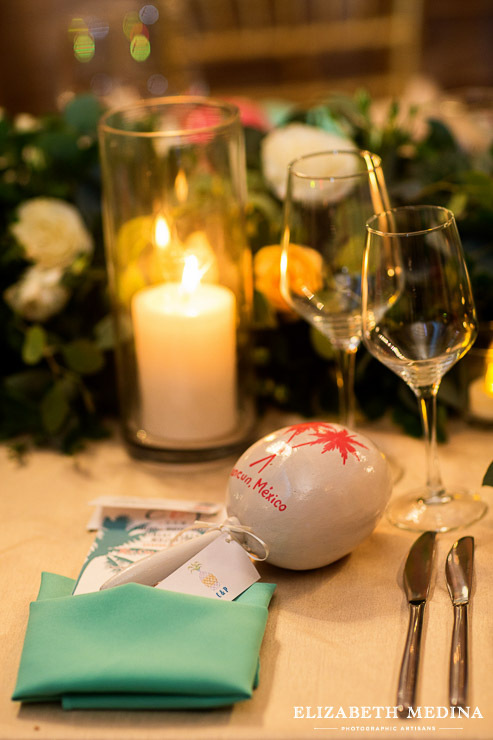 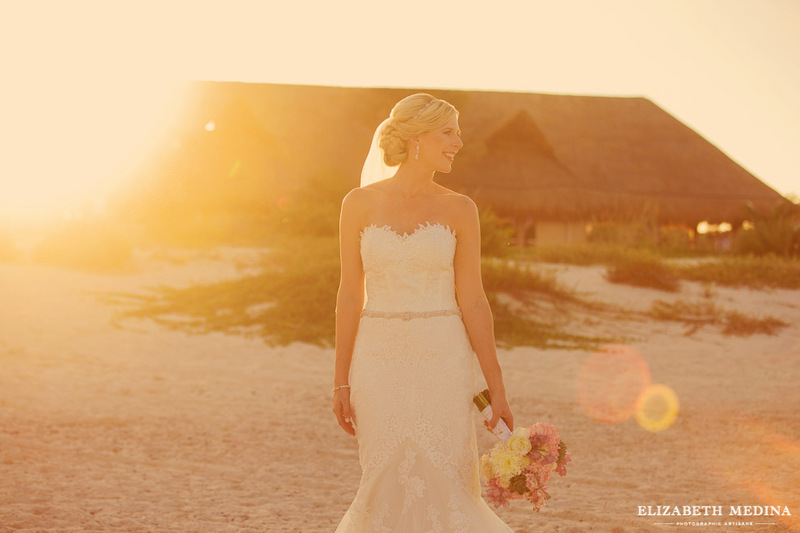 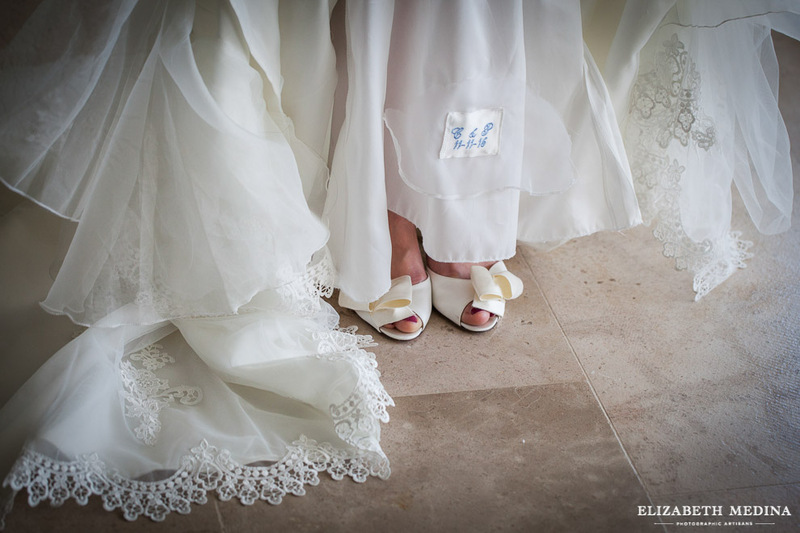 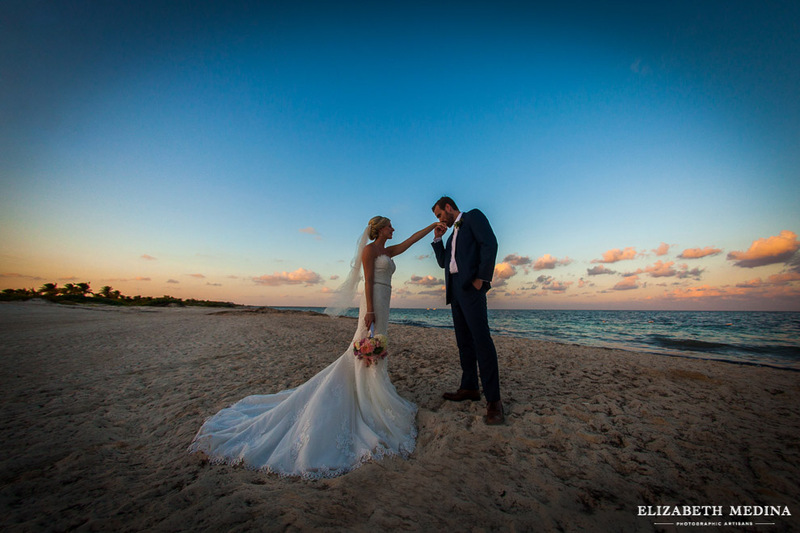 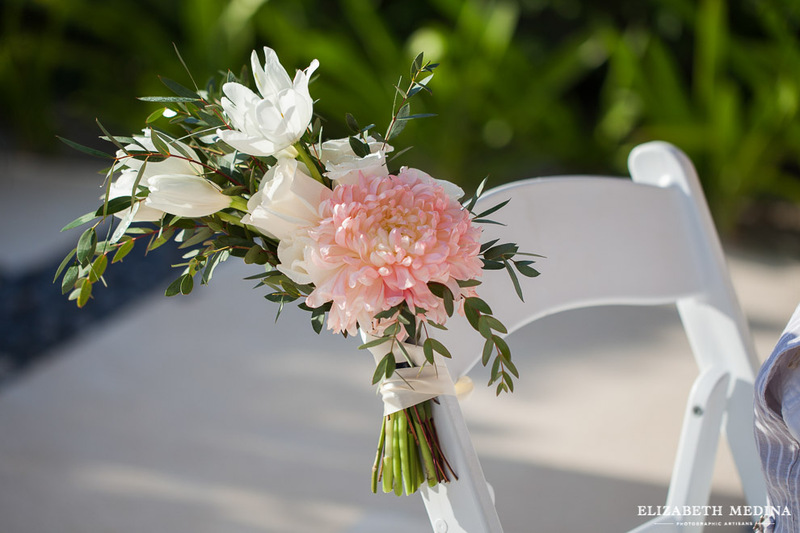 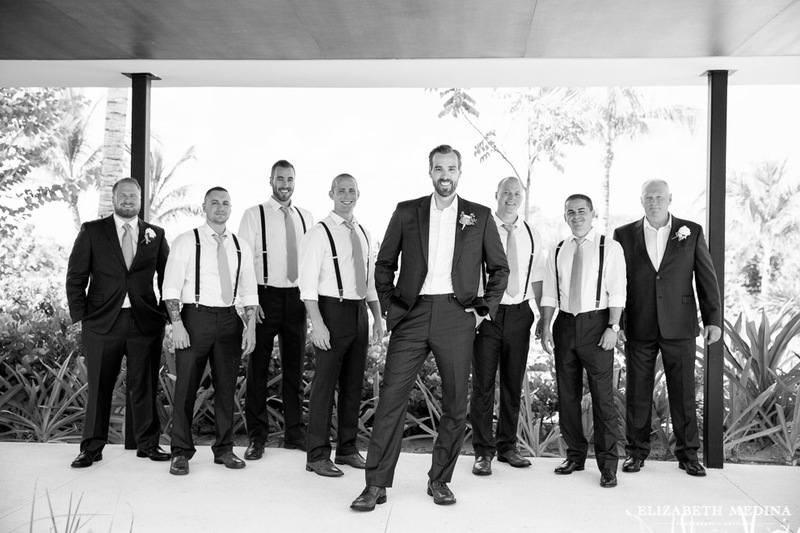 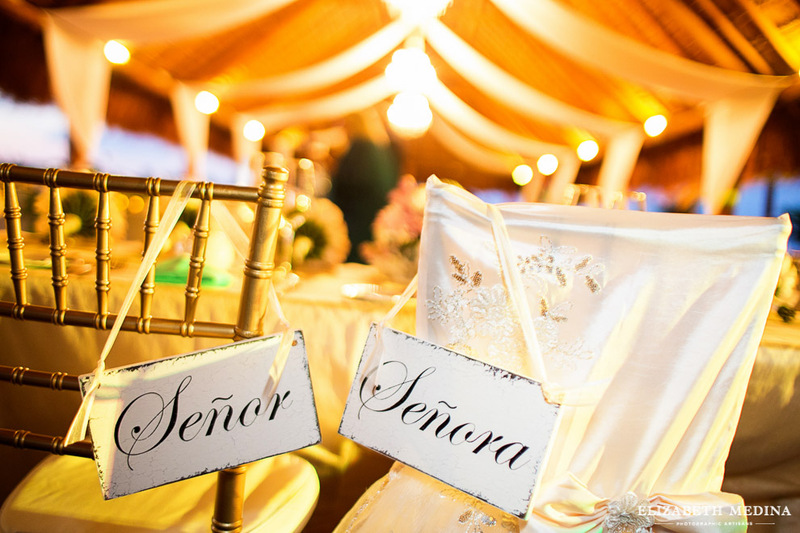 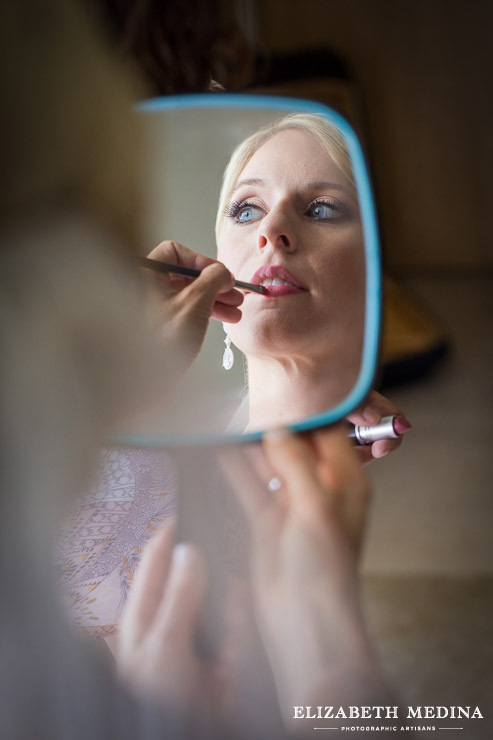 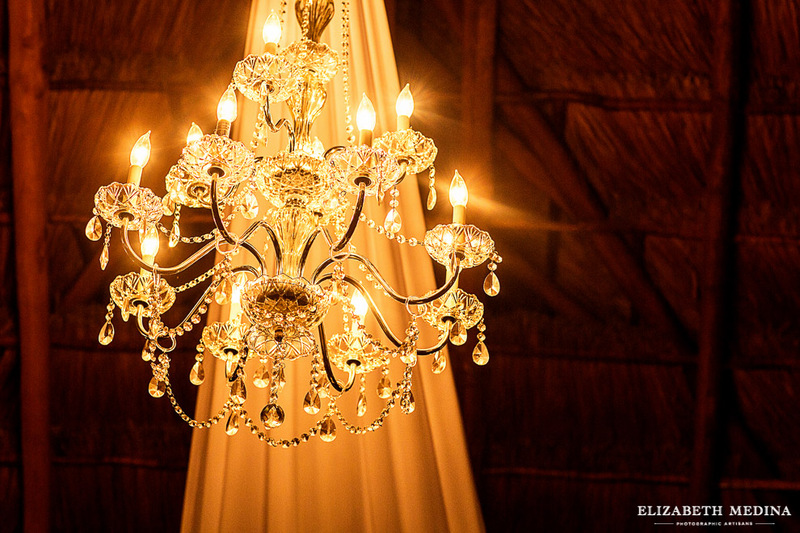 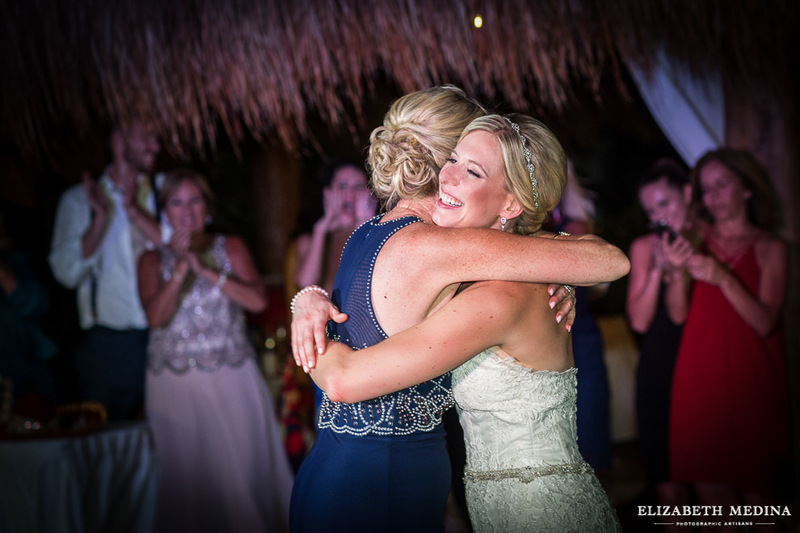 The Finest Resort, Cancun Mexico, destination wedding in a beautiful setting, photographs by Elizabeth Medina, Mexico’s premier destination wedding photographer.